Stephen Colbert: Buying Detergent, Electing a President "Exactly the Same"
"Tide gets to approve drone strikes on its enemies." Stephen Colbert posited an interesting political theory on Thursday's show. On Thursday's edition of "The Colbert Report," Stephen Colbert riffed on a recent column by political pundit George Will, who claimed that last year Procter & Gamble spent more money marketing detergent than Super PACs will spend supporting President Obama and Mitt Romney—$3 billion dollars more, to be price. "More is spent to influence Americans' choice of their detergent than of their president," Will quipped. That claim rings true for Colbert, who boldly stated that "buying detergent and electing a President are exactly the same." "When I buy Tide I have to use it for four years and so does everyone in America." What about matters of national security? 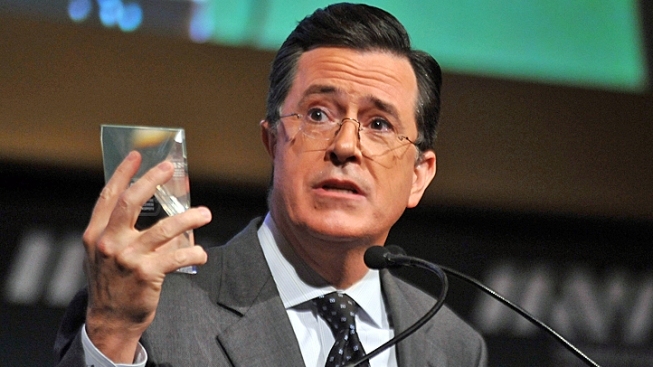 "Tide gets to approve drone strikes on its enemies," Colbert joked.